I've walked the track at Udall park consistently for the last couple of weeks. To me the best time to walk this park is in the morning. There are lots of folks making the rounds. You will not be surprised to know that I am one of those annoying people who greet passers-by with a smile and a hello. Don't worry. If they don't make eye contact, I let them slip by ungreeted. There has been a very smiley, friendly older gentleman I've noticed several mornings. Two weeks ago when he passed me he exclaimed, "Sure hope this walking helps us live longer!" I stumbled over my words and only came up with, "Uh-huh! Sure do!" What?! What kind of a response is that? I kicked myself around the track thinking of a hundred better responses I should have had. Opportunity missed. Yesterday I headed out at 8:00 to walk my track circles. Guess what? The same very smiley, friendly gentleman passed me. The first time we passed each other we both smiled and said good morning. I recognized him and remembered his live longer comment from our last encounter. As I passed him the second time a huge smile stretched across his mustached face and he exclaimed, "Sure hope this walking helps us live longer!" I responded with a profound, "Uh-huh! Sure do!" What?!? Are you kidding me? I missed the opportunity again? If my body language showed any aspect of what was going through my brain I was kicking the dirt and wringing my hands. I lamented to Jesus telling him that I've been pondering hope so much and the sweet older gentleman spoke to me of one of his hopes and all that came out of my mouth was "Uh-Huh?" I asked the Spirit for another chance and to give me good words. It "just so happened" he was coming around the track again. I could see him many yards ahead. If you know me, you know that I don't mind introducing myself to anyone at anytime. When were were just a couple of feet away from each other, I stepped in his lane and stuck out my hand. He didn't even flinch. His smile broadened. I told him that I had a different reply to his comment on hoping to live longer by walking. And then I introduced myself. "My name is Angel." He replied, "I'm George. Nice to meet you." As I began to share my answer about hope, the conversation took on a serious tone. 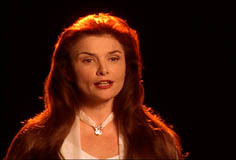 Sometimes when I meet someone for the first time and have a spiritual conversation I feel as if they look at me like Monica (Roma Downey) from Touched by an Angel, not because I'm super spiritual and holy, but because my name is Angel. If I had a dollar for every time someone who just met me said, "You really are an Angel" then I could demonstrate my super spiritual holiness and give away a lot of dollars. I wonder if I look a little like this to people who think I'm glowingly holy. If it makes my story more entertaining imagine me saying the following words to George with Roma Downey's Irish accent. I'm sure my head was totally glowing as I spoke with him. "George, I wanted to respond differently to why I come to walk every morning. You see, I've been thinking a lot about hope lately. Last August I had a stroke and four weeks ago I had heart surgery." "Because of my health challenges hope in my life has been refined. I learned that my days are numbered and I don't have any control over it, so I put my hope in Jesus. And the reason I walk every morning is because I hope to live stronger, and not necessarily longer." He got a little teary, hugged me, wished me luck, and told me to keep walking. My head stopped glowing, but my heart was full. Of course I don't see myself in a touched by an angel light, but it's fun to make fun of myself. The point of this silly story is a public confession that I miss opportunities and a personal reminder that opportunities can often be redeemed. If this very holy week of Easter reminds us of anything, it should remind us of redemption...in our days, in our relationships, in our conversations, in our souls. Be wise in the way that you act to outsiders. Make the most of every opportunity. Let your conversation be full of grace, seasoned with salt, so that you may know how to answer everyone. Sometimes people will innocently tell me that they don't need an update on how I'm doing because they read my blog. Uh, say what? That's somewhat terrifying. That would mean people may think that I'm pre-tty spectacular...amazing parent, memorizing scripture all the time, surviving this stroke stuff with outstanding positivity. To be honest, one of my fears in blog land is the fairy tale people can inadvertently or intentionally create about life. I believe blogs is to this generation as soap operas were to my mom's generation. If we aren't careful it can amount to countless hours of reading about making our homes magazine beautiful, or parenting like a magician, or how to be a holy Christian, or living more eco-fabulous, or feeling burdened to read more books, or how to change your fashion look to be trendy, fancy, modest, hottest...this list goes on for infinity. Hear me on this. I am NOT saying, "Stop reading blogs." I AM saying, "Be wise and discerning." Also, hear me on this. I am so far from perfect. This isn't a statement of false humility. I will admit that by the grace of God, I've grown in maturity, wisdom, and understanding through the years. However, when I talk to people further along in their life journey, I long to continue to grow and learn and change. I'm turning 40 in about a month, so I've been reflecting on this quite a bit which has given me the desire to confess some of my shortcomings to you in order to remind you that I'm just a plain lady that understands on some level what I've been redeemed from and I'm continuing to learn and grow in my understanding of what I've been redeemed for. I sometimes become very impatient with my teenagers who are age-appropriately seeking to "do it their own way." In some situations I revert back to the younger years of wanting them to just do what I said because I said to do it. One time I yelled right in Esther's face. It was horrible. Lately, I've struggled to be nurturing and have even noticed myself recoiling from tender moments. Often my kids try to get my attention but I'm completely spaced out, on my phone, or on my computer and don't hear them until they are frustrated. This is a big deficiency I'm working on. Sometimes I feel anxious before our Sunday gathering trying to remember personal ways to connect with women. I've become so frustrated in my inability to memorize scripture that I haven't tried in awhile. I compare myself with other bloggers wishing I had more followers or a broader influence. Gag. 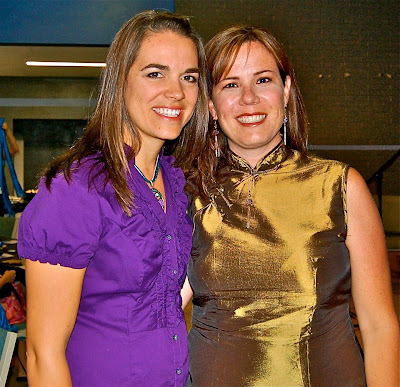 I'm fearful that I will receive no new vision for leading the women of our church. For the last few months I felt entitled to drink a Starbucks chai almost every day. I've given it up for now. Pride sometimes causes me to long to do "big things" for God, but I'm afraid my desires may be for my name's sake, not His. Sigh. Since I've been on sabbatical, I've battled comparison much...in my house, in my shape, in my effectiveness. It has been an exhausting fight. Even as an almost 40 year old I am still learning to take my thoughts captive. For some strange irrational reason, I am dreading turning 40. Shiver. Well, there ya have it. Actually, you just have a little. I enjoy making people squirm in some awkwardness, but I don't want to overwhelm you with all my junk. Turns out Jesus is the only One grand, supreme, just, and forgiving enough to deal with all my junk. Friends, let's not live a facade. I hope you each have a few people in your life with whom you can be honest. If you don't, ask the Spirit of God to give you courage to truly share your heart, to give you trustworthy friends, to enable you to depend on others and allow others to depend on you. Let's also be wise as we look to all sorts of media to learn some amazing skills, recipes, and life tools. Ask God to give you security in Him, discernment with information, wisdom in scripture, and contentment with your own race. So then, just as you have received Christ Jesus as Lord, continue to live in him, rooted and established in him, strengthened in the faith just as you were taught, overflowing with thankfulness. How do you respond to information you see, hear, or read? What tool do you use to filter information that comes into your heart, mind, and soul? Do you ever compare yourself to those around you? What are the areas of your life that need attention and/or surrender to Jesus? What evidence from your life shows your security in Christ? Who can you encourage today to run the race Jesus has marked out for them? Will you encourage yourself to run your own race? May the words of my mouth and the mediation of my heart be pleasing in your sight, O Lord, my Rock and my Redeemer. I haven't updated you on my health lately because it has been difficult to know where to start. Many times I've started to write an update only to sit and stare at the screen. Today I am willing myself to get it done, so I better just jump in and skip anymore intro fluff. Many of you know that the cardiologist found a PFO (a hole) in my heart that allowed a clot to sneak through and cause the stroke. Skipping over a bunch of details, last Monday (February 25th) I had a procedure done to close the hole. The procedure usually takes two to three hours, but it only took the doctor 40 minutes to plug the hole. He and his team used a catheter through my femoral vein to reach my heart. He told Chad the catheter went straight to the hole and he didn't have to search for it. We attribute this to all of the prayers being spoken on my behalf. Thank you! This short animated video will give you an idea of what the doctor did to my heart. So now I have a titanium and nickel "device" in my heart that plugs the hole. God made our bodies so extraordinary that my heart will basically incorporate the piece of metal and heal around it. Strange. Can I feel it? Why, yes. Yes, I can. But, I actually can't. I just think I can because I'm weird/hyper-sensitive like that. Each time I "feel" it, I tell myself over and over, "You're fine. You can't feel it. You're just a freak." Recovering from this procedure is no stress or strain and rest for a couple of weeks. The doctors said I can return to normal activity in 14 days. So, next Monday I'm going to go out and run stadiums and sprints. Anyone want to join me? Just kidding. I'm so not doing that. Actually, one of the most interesting parts of this health journey I'm on is to continue to learn to listen to my body and balance what each doctor tells me. The cardiologist is only speaking his suggestions for my activity level based on my heart. The neurologist is only speaking his suggestions for my activity level based on my brain. Neither doctor considers other parts of my body that may need rest and/or healing, so it's up to me (and Chad) to combine each doctor's wisdom to decipher what is best for me and our family. My family and I have been so supported by you in this process. Prayer, gifts, meals, and money are a few of the ways you have supported us. My love for my community continues to grow because of the love you've shown us. Thank you for loving us! We love you, too! A new command I give you: Love one another. As I have loved you so you must love one another. By this all men will know that you are my disciples, if you love one another.